Fresh from last week's Build developer conference in San Francisco, Microsoft executives appeared at the company's first-ever Ignite conference in Chicago and provided more details about the company's new Azure SQL Data Warehouse. The company yesterday demoed the first "sneak peek" at the new "elastic data warehouse in the cloud," and today exec Tiffany Wissner penned a blog post to highlight specific functionalities. 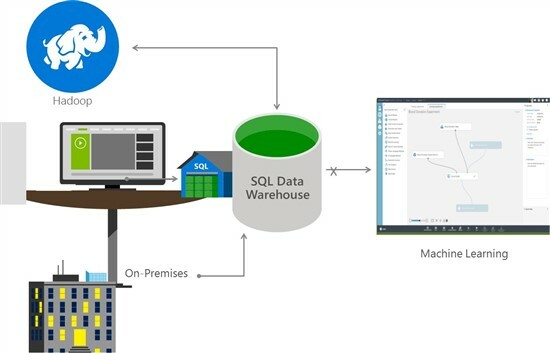 Wissner explained how Azure SQL Data Warehouse expands upon the company's flagship relational database management system (RDBMS), SQL Server. "Azure SQL Data Warehouse is a combination of enterprise-grade SQL Server augmented with the massively parallel processing architecture of the Analytics Platform System (APS), which allows the SQL Data Warehouse service to scale across very large datasets," Wissner said. "It integrates with existing Azure data tools including Power BI for data visualization, Azure Machine Learning for advanced analytics, Azure Data Factory for data orchestration and movement as well as Azure HDInsight, our 100 percent Apache Hadoop service for Big Data processing." Just over a year ago, Microsoft introduced the APS as a physical appliance wedding its SQL Server Parallel Data Warehouse (PDW) with HDInsight. APS is described by Microsoft as "the evolution of the PDW product that now supports the ability to query across the traditional relational data warehouse and data stored in a Hadoop region -- either in the appliance or in a separate Hadoop cluster." Wissner touted the pervasiveness of SQL Server as a selling point of the new solution, as enterprises can leverage developer skills and knowledge acquired from its years of everyday use. "The SQL Data Warehouse extends the T-SQL constructs you're already familiar with to create indexes, partitions, functions and procedures which allows you to easily migrate to the cloud," Wissner said. "With native integrations to Azure Data Factory, Azure Machine Learning and Power BI, customers are able to quickly ingest data, utilize learning algorithms, and visualize data born either in the cloud or on-premises." PolyBase in the cloud is another attractive feature, Wissner said. PolyBase was introduced with PDW in 2013 to integrate data stored in the Hadoop Distributed File System (HDFS) with SQL Server, one of many emerging SQL-on-Hadoop solutions. "SQL Data Warehouse can query unstructured and semi-structured data stored in Azure Storage, Hortonworks Data Platform, or Cloudera using familiar T-SQL skills making it easy to combine data sets no matter where it is stored," Wissner said. "Other vendors follow the traditional data warehouse model that requires data to be moved into the instance to be accessible." 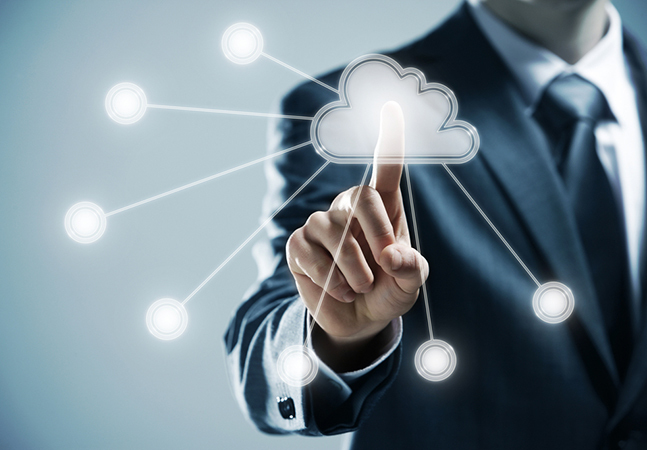 Although Wissner didn't identify any of those "other vendors," Microsoft took pains to position Azure SQL Data Warehouse as an improvement upon the Redshift cloud database offered by Amazon Web Services Inc. (AWS), which Microsoft is challenging for public cloud supremacy. One of the advantages Microsoft sees in its product over Redshift is the ability to save costs by pausing cloud compute instances. This was mentioned at Build and echoed today by Wissner. "Dynamic pause enables customers to optimize the utilization of the compute infrastructure by ramping down compute while persisting the data and eliminating the need to backup and restore," Wissner said. "With other cloud vendors, customers are required to back up the data, delete the existing cluster, and, upon resume, generate a new cluster and restore data. This is both time consuming and complex for scenarios such as data marts or departmental data warehouses that need variable compute power." Again parroting the Build message, Wissner also discussed Azure SQL Data Warehouse's ability to separate compute and storage services, scaling them independently up and down immediately as needed. "With SQL Data Warehouse you are able to quickly move to the cloud without having to move all of your infrastructure along with it," Wissner concluded. "With the Analytics Platform System, Microsoft Azure and Azure SQL Data Warehouse, you can have the data warehouse solution you need on-premises, in the cloud or a hybrid solution." Users interested in trying out the new offering, expected to hit general availability this summer, can sign up to be notified when that happens.